NHL 2015 Off-Season Report: Which Teams Made the Biggest Moves? The NHL hockey season ended with the Chicago Blackhawks capturing another Stanley Cup. 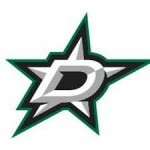 Within days and weeks of the Stanley Cup Championship we had the NHL Entry Draft and NHL free agent frenzy. There were a number of transactions both on the ice and off the ice. We wanted to take a look at which teams made the largest splash in the off season thus far. We will start with the teams that we think have made the largest improvement with some of the biggest moves so far this summer. Training camps are less than 50 days away so we can anticipate some additional activity over the next few weeks. Here is a look at the five teams that have made the most and perhaps the biggest moves this off season. in May, the Leafs hired Mike Babcock as their head coach. Babcock signed an eight year contract worth $60M. 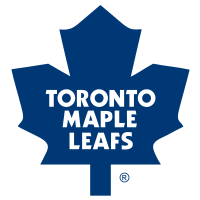 on Canada Day, the Leafs and Penguins pulled of a major trade with the Penguins sending forward prospect Kasperi Kapanen, forward Nick Spaling, defenseman Scott Harrington and a 2016 first-round pick to the Maple Leafs for Kessel, forward Tyler Biggs and defenseman Tim Erixon. in a somewhat surprising move, longtime New Jersey Devils president and general manager Lou Lamoriello has taken over as GM of the Toronto Maple Leafs. Some big off ice moves that should pay dividends for the Maple Leafs in years to come. Boston Bruins – lets look at some of the moves the Bruins made. Not sure if this makes them a better team or not, but definitely some big moves in Beantown. in mid-April, the Boston Bruins fired general manager Peter Chiarelli after missing the playoffs for the first time in eight years. 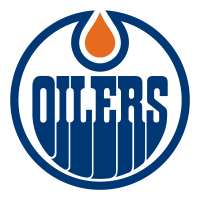 Boston’s loss became Edmonton’s gain as Chiarelli joined the management team of the Edmonton Oilers. The Bruins decided to retain head coach Claude Julien. the Bruins sent defenceman Dougie Hamilton to the Calgary Flames for a first-round pick and two second-rounders. The six-foot-five Hamilton had a career-best 10 goals, 32 assists and 42 points this past season. Reports suggested that Boston general manager Don Sweeney asked the Oilers to include defenceman Darnell Nurse in an offer for Dougie Hamilton. It was a non-starter and Hamilton went to the Oilers rival instead. the Bruins traded their top-line left wing, Milan Lucic to the Los Angeles Kings for backup goalie Martin Jones, defenceman prospect Colin Miller and the 13th pick in the draft, which Boston used on defenceman Jakub Zboril. A pretty decent return for the Bruins. The Bruins would later flip Jones to the San Jose Sharks to secure an additional first round pick. the Bruins ended up with three consecutive picks in the Entry Draft at positions 13-15 in which they selected D-man Jakub Zboril, left winger Jake DeBrusk and right winger Zach Senyshyn. the Bruins acquired Zac Rinaldo from the Flyers. the Boston Bruins also acquired Jimmy Hayes from the Florida Panthers in exchange for Reilly Smith. the Bruins agreed to terms on a five-year contract worth $19M with free agent left winger Matt Beleskey. Beleskey, 27, scored a career-high 22 goals with the Ducks in 2014-15, adding 10 assists for 32 points in 65 games. management shuffle with Craig McTavish and Kevin Lowe being “phased” into new rules and no longer in control of hockey operations. The Oilers hired former Bruins GM Peter Chiarelli to enter in the next era for the Oilers. the Oilers then hired former San Jose coach Todd McLellan as head coach. This is a very respectable choice and someone who is a great fit for the Oilers. As draft day approached, the Oilers acquired defenseman Griffen Reinhart from the Islanders for 2015 first and second round picks. I like this move as Reinhart is still young and has a history in Oil Country. the Oilers traded for a goaltender in former Rangers backup Cam Talbot. I’m personally not sold on Talbot and felt that perhaps the Oilers should have went after Antii Niemi but then again Talbot could be just what the Oilers need as a last line of defense. of course probably the biggest transaction was the drafting of Connor McDavid with the first overall pick. McDavid signed a three year entry level contract with the Oilers. the Oiler also sent Travis Ewanyk to Ottawa for Eric Gryba. acquired goaltender Antti Niemi from the San Jose Sharks for a 7th round pick, later signing Niemi to a three year deal. The Stars signed forward Patrick Eaves to a one-year contract Wednesday after a solid first season in Dallas. Eaves had 27 points (14 goals, 13 assists) in 47 games last season, leading the Stars with a plus-minus rating of plus-12. He had a career-high six power-play goals. with the second overall pick the Sabres selecting center Jack Eichel who stated that he wanted to be the top player of this year’s draft class. Let’s wait and see if he has the skills to backup the ego shall we? To compliment Eichel, the Sabres also went out and acquired Ryan O’Reilly from the Avalanche as well as goaltender Robin Lehner from the Ottawa Senators. the Sabres will have Evander Kane lacing the skates up for them this season as well. Buffalo also made another smart move by bringing in veteran head coach Dan Byalsma. All five of these teams should be improved this season. Will they make the playoffs? Highly unlikely that all five of these teams will be playoff teams come April, but they all took steps in the right direction and have made some of the biggest moves this NHL off season. Thanks Jim, two typos. Appreciate the comments. The Oilers did not hire Todd Nelson as head coach they hired Todd McLellan as the head coach. Todd Nelson was the interim head coach of the Edmonton Oilers and was let go when they hired Todd McLelland. The Leafs received a first round pick from the Penguins in the Kessel trade not a third.